Washington DC’s 2012 RAWards MUA of the year! THANK YOU everyone so much for your votes! I won Makeup Artist of the Year for the 2012 RAWawards in Washington DC, and now am in the running for the National Awards Show. The physical awards show to honor the winners will take place January 13, 2013 in Hollywood- Los Angeles, California at the gorgeous Belasco Theater. 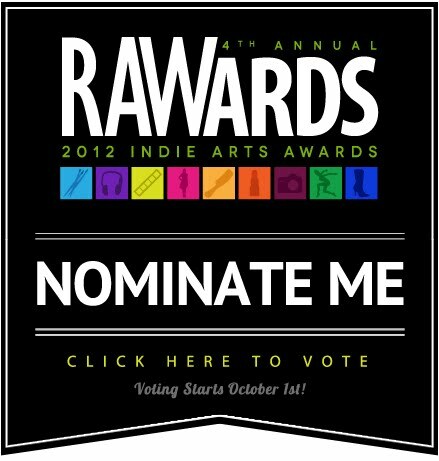 Additional information on the the awards show can be viewed at: http://www.rawartists.org/rawards2012 and for information on the venue, you can visit: http://www.TheBelasco.com/ Hope to see all the other city nominees there! Hey everyone, it’s been a while since the last award show earlier this year! I’m so humbled to have the support from you. Being able to show my passion means so much to me! As you all know, I had an art show in June called “Makeovers & Martinis” & was able to showcase my work along with many underground artists in DC. (Special thanks to Sandra G. for providing her makeup services as well) ♥ A few months later, RAW decided to select me to run for nomination as Makeup Artist of the year! I’m extremely excited for this opportunity since this will be my first nationwide competition, as opposed to just state-wide. The ballot will be open from October 1 to 15, and you will be able to vote once per day. Again, I greatly appreciate all the support, and hope that I can represent the DC Metropolitan area with my work and make a name for us in this national awards show!